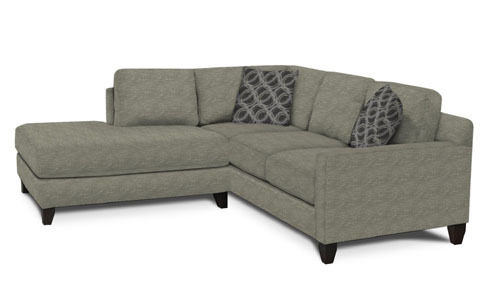 Make your house look like a home with our Briar sectional. Elements such as sleek track arms and pyramid wood leg gives Briar its casual, simple style. This series is available in your choice of hundreds of fabrics. Make it fun or glamorous… it’s up to you!